Larger TV screens are featured in most current telesets, with 14- to 19-inch tubes getting the biggest play. General Electric promises a 24-inch set for this fall, and Du Mont is showing the giant 30-incher above. It’s the largest direct-view set to date, has 536 square inch picture area, and is suitable for restaurants, clubs, schools, and other public places. Big tubes mean greater viewing distances. Some new sets provide for your comfort by allowing you to change programs from your easy chair. 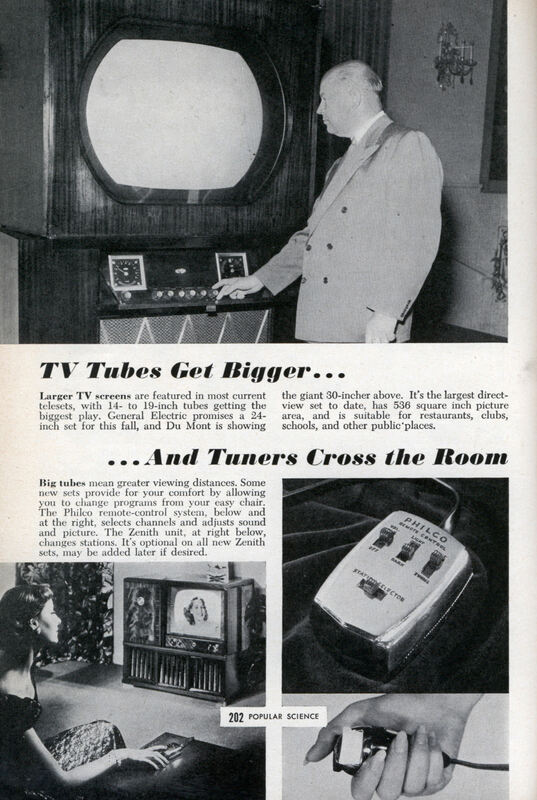 The Philco remote-control system, below and at the right, selects channels and adjusts sound and picture. The Zenith unit, at right below, changes stations. Its optional on all new Zenith sets, may be added later if desired. 30 inch direct view isn’t too bad even by todays standards. The TV must have weighed 500 lbs! Is that guy the president? On New Years Day TMC (The Movie Channel) played classic SF films back to back to back, including “Red Planet Mars” (1952). The scientist had a big tube in the lab… but he had a huge hi-def widescreen flatscreen in his house! WITH remote! Yeah, tubes really max out at about 40-45 inches or so. It IS possible to make them larger, but not especially practical. The larger sizes require ever higher voltages to the electron guns which in turn increase x-ray production when the electrons strike the screen and thus thicker and heavier glass. By the time you’re getting into the 40 inch you’re looking at 200+ lbs pretty easily. 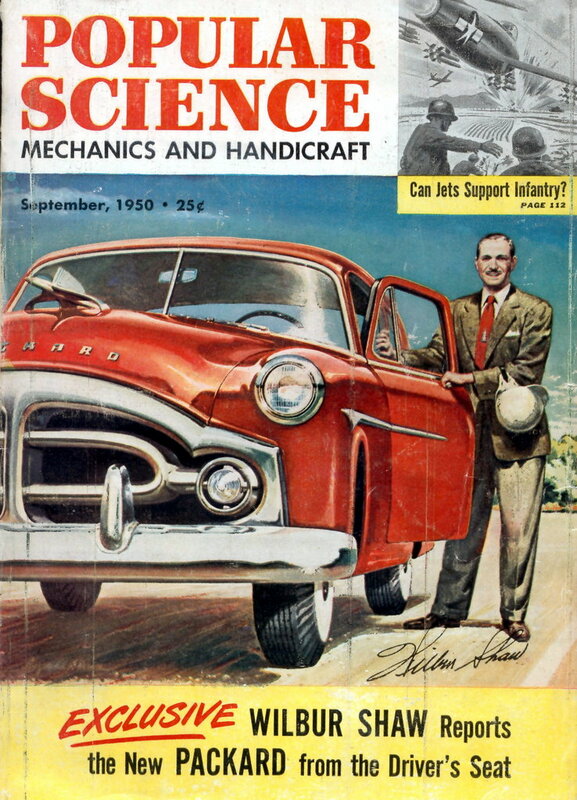 That’s Dr. Allan B. DuMont, inventor, engineer and President of the DuMont Network.